Conference calls are routine in the typical corporate office. A phone conference is all about communication but is counterproductive if not run properly. From your manner of speaking to the way information is presented, to the type of audio conferencing service used, there are many considerations. BroadData helps manage the process by simplifying conferencing. Consulting is available whenever a client needs it, but the company also offers scheduling, monitoring, and reporting services. Plus, you pay only for actual usage, and customizable features and operator assistance are available at any time. Managing a domestic call or including participants from around the world is simple, but you still need to know what it takes to manage a successful audio conference call. An audio conference is just a few moments in time for an organization and its staff. It is nonetheless an effective method of boosting productivity. Therefore, it’s important to ensure each call is productive. Yet having the best audio and web conferencing tools at your disposal won’t help if the process is poorly managed. Plan an agenda: Establish every participant’s role before the conference is scheduled to begin. Write this plan out as well. Participants will then be able to track the agenda and focus on each segment as it is executed. They can also anticipate relevant topics and better relate them to the overall subject matter. Start on schedule: Tardiness keeps those who are on time waiting and can diminish the focus of the meeting. Many organizations naturally embrace the security side of things. It is easy to overthink it and create unnecessarily long access codes (short, personalized permanent access IDs are best). There’s a higher chance of entering these wrong, adding minutes to the wait time. Stay on topic: Don’t be too general because participants can obtain this information on their own. Focus on new ideas and details. One challenge of phone conferencing is people in the same room start topical conversations, but going on tangents can completely derail the focus of the call. Focus on the topic all the way through and verbalize any decisions made as the call concludes. Limit disruptions: Background noise can distract everyone and can come from any connected participant. Non-speakers can be muted automatically. During presentations, limit mute deactivation to authorized parties, to limit distractions. Summarize and record: Action items should be clearly laid out before, during, and at the end of a conference call. By summarizing the main points at the end of an audio conferencing session, participants can more easily reference them later. Recording a call makes this simpler; people not part of the original conference can be filled in on topics covered and decisions made. Track progress: A lot of talking doesn’t necessarily equal progress. From time to time, check that everyone is on the same page and that relevant topics have been discussed. Periodic summaries can be introduced along the way or points already discussed can be briefly reiterated. Communication: Speaking naturally helps better convey information, and even delivers non-verbal social cues, so speaking in a telephone voice during a conference call is counterproductive. Your natural inflections will help people understand the context of what you’re saying. If being mobile helps spur your personality and creativity, put on a wireless headset and walk around. Standing may help boost your focus and prevent unnecessary, productivity-limiting multitasking. Now that methods of productive conferencing have been covered, here are some features of BroadData’s solution that can streamline small conferences and large events. Managing an audio conference does not have to be difficult. With the right infrastructure and service, there is really no challenge. A conference call should be an opportunity to embrace, and BroadData has just the solutions to end all your conferencing frustrations. Any call can include as many as 125 participants, and the burdens of dealing with reservations are eliminated. For domestic calls, permanent toll-free and 1+ dial-in numbers can be set up, and this works for international calls as well. You only pay for usage and not for participants who don’t join the call. Different users, groups, and committees can have their own passcodes, which can be set up without any additional charges. International Toll-Free Dial-In Service is available at no cost to those who dial in. 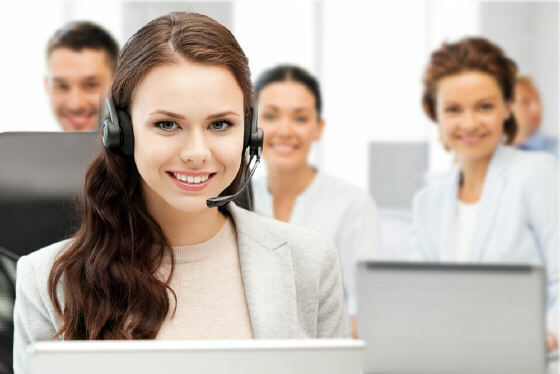 This non-VoIP service has a business-class-level Quality of Service. Local and city rates apply to the International Local (city) Dial-In Service.Customer pay rates that vary with the country/city where attendees are located, but participants don’t pay any fees. 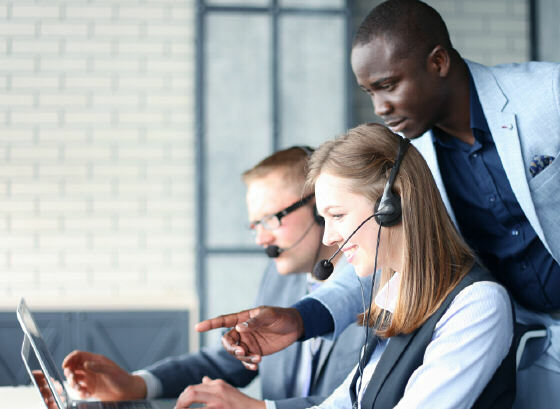 An automated dial-out function brings in international participants via an Online Call Manager, which can also be used to manage and control meetings and reach customer support. It displays all meeting information, including who the moderator and participants are. The user interface displays who the active talker is. Unwanted participants can be locked out, while individual lines and groups can be muted/unmuted. In fact, the operator can provide any level of support. Specialists can assist in planning and executing a conference event of any scope. If needed, an operator can dial out to domestic or international participants, but there’s always the option for attendees to dial in themselves. Reservationless access: An independently run or operator-assisted teleconference has the benefits of being reservationless, meaning instant access is always available. You don’t have to spend time scheduling or changing or canceling an event. The service is available 24/7/365. A permanent conference code can be used for every conference, and as many codes as you need can be established if you want different users to have separate codes. Users can choose when the event begins. It can be when the moderator joins, and those connected will hear music (or a prerecorded message) beforehand, or when participants dial in. Alerts of participant entry and exit include a tone, name announcement, or none at all. Registration services: If needed, conference leaders can set up an online registration page, which captures participants’ names, companies, and contact information. The customer receives these details via email. Invitation messages are emailed to prospective callers, so they know how and when to dial in. The dial-in numbers are provided to all on your distribution list. Participant pre-notification: Coordinators call participants in advance to confirm the call date and time. Standing reservation: For customers with regularly scheduled, recurring calls. Recording: Call recordings can be provided in digital format (CD, download). Prerecorded content can be played during a call as well; participants can forward/rewind/pause, and listen and respond to it. Executive sub-conferencing: Private meetings between designated participants can be established during a conference, and they can regroup as well. Transcription: Transcribed details of a call can be emailed to designated individual(s) after the audio conference has ended. Certified stenography: A certified stenographer can listen to the entire call and transcribe it in real time for legal, executive, board of directors, and other important meetings. Clearance list/security lockout: If a conference is confidential, pre-screening of participants ensures only those who are approved can join. The host will be notified if an uncleared caller attempts access. Late parties can be locked out, but this function can be turned on/off with a phone keypad. User IDs: An optional feature, it makes dial-in entry and participant identification faster. It can be used to collect data or approve individuals to join the call. Often, a unique user ID is pre-assigned to people invited to the conference. A list can be provided to our coordinators beforehand or BroadData can assign unique IDs to each participant. 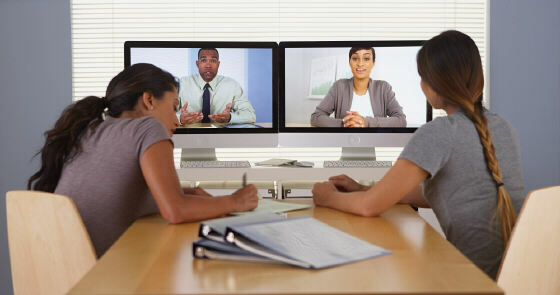 Adobe Connect web conferencing: The integrated audio and web conferencing platform is available at an additional monthly or usage-only cost. Supporting up to 500 users, the platform works on any device and is suited for web meetings, webinars, training, and eLearning sessions. It enables real-time collaboration and can automatically dial people in. Adobe Connect Mobile, working with iOS and Android smartphones and tablets, lets users share documents, presentations, photos, and multimedia content. It supports finger controlled annotations and whiteboarding while offering web-based audio controls and self-service recording and playback. Like the standard audio conferencing service, it allows 24/7 reservationless access. Webcast Studio: Allows users to share audio, video, and slides with attendees during conferences. The service also supports multiple slide decks and animations. Adobe Flash is built in, so participants can access any presentation via their web browser. BroadData is the right choice because it offers the easiest teleconferencing solution. It is affordable. There are no signup fees, monthly fees, contracts, or hidden charges, and volume discounts are available as custom rate solutions. Security features and 24/7 tech support are free of charge. There are no minimum charges as well, so customers only pay for the services they use. Customer service is always available, whether customers choose to reach out by phone or email. The service comes with a 100% satisfaction guarantee as well. The BroadData “No Hassle” advantage applies to every customer. Our professionals have years of experience managing conferences, so can provide all the necessary services and assistance to make your audio conferencing seamless. These are what sets BroadData apart from other conferencing companies. We’re committed to making an audio conference and operator assisted calls hassle-free. Customers also have more time to do business, collaborate, and be productive regardless of where in the world conference participants are. The service is suited for enterprises, small businesses, startups, and entrepreneurs. It can accommodate professional service firms and investor relations/financial, marketing, sales, medical/healthcare, and non-profit clients. To set up convenient audio conferencing services, sign up online. To learn more and discuss custom rate solutions, contact us on the web or call BroadData Conferencing at 877-321-2255.